A Government of National Unity mighty be set up withibng the next six months Human Rights Watch Director Dewa Mavhinga has revealed. Mavhinga said he met a ZANU PF official on Friday who informed him. "I bumped into a senior ZanuPF official today (Friday) who said a Government of National Unity (GNU) is the only viable solution for Zimbabwe and that it might happen with 6 months." Mavhinga said. The information by Mavhinga come at a time when Mnangagwa and Chamisa have both publicly declared they want to meet each other but are not agreeing on the platform where they can meet. Commenting on the issue seasoned journalist Mduduzi Mathuthu said, "If there's GNU, that would be ED trying to contain threat of internal rebellion to his doomed presidency I suspect." There have been reports coming from Harare that there is a major fallout between President Emmerson Mnangagwa and Vice President Constantino Chiwenga. The reports allege that Chiwenga and his close military allies are pushing for Mnangagwa to resign in December Conference so that he can hand over power to a person who is desirable by the arm. It is further said the plot to oust Mnangagwa is engineered and implemented by a ZANU PF grouping called the Zezuru Mafia which is a clique controlling ZANU PF. 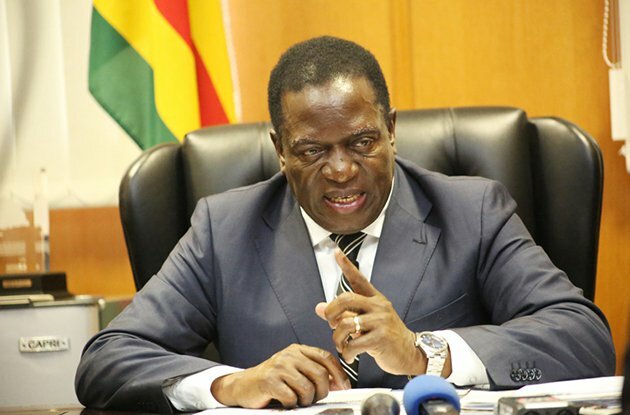 Mnangagwa has recently been making overtures to Western countries through offering to compensate white commercial farmers and liberalizing the economy. A trend which analyst say is an attempt to get international protection in the event he is forced out of power by the military cabal led by VP Chiwenga.